At the end of January, Festival Hall in Ljubljana was the setting of the EFFIE 2008 award ceremony. This year, the media and communication efficiency award was presented for the fourth time. The campaign for the Gorenje Ora-Ïto Collection and GoDesign, prepared for Gorenje by the Pristop agency, won the bronze award. This achievement can be understood as evidence that different and daring ideas work and that successful and efficient marketing communication campaigns are the right way to success. 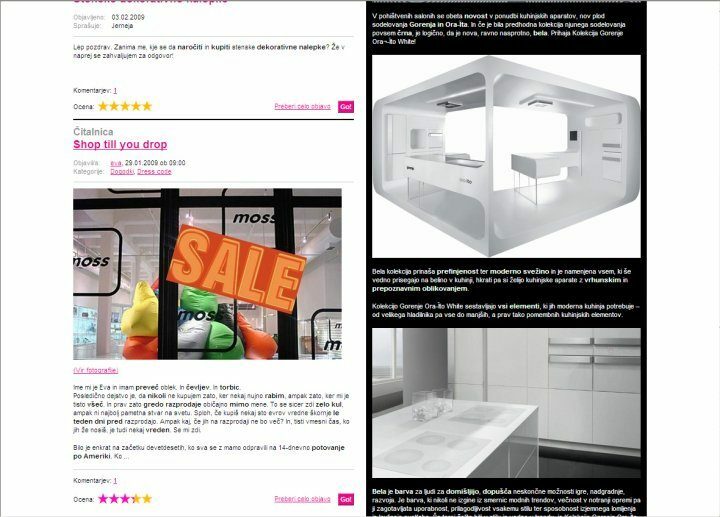 The Gorenje Ora-Ïto Collection and the Gorenje lifestyle web portal called GoDesign have thus joined the best in the marketing business while the effectiveness of these projects is further proven by excellent sales performance. EFFIE is an award for media and communication efficiency and it has a reputation of being among the most prestigious awards presented to marketing professionals. In Slovenia, it is presented biannually. This year's EFFIE award saw a record number of candidates as applications were filed for 27 cases of effective marketing communication. Only 8 best campaigns, however, won the gold, silver, and bronze medals. This is the first award of this kind won by Gorenje GTI received as an advertiser.